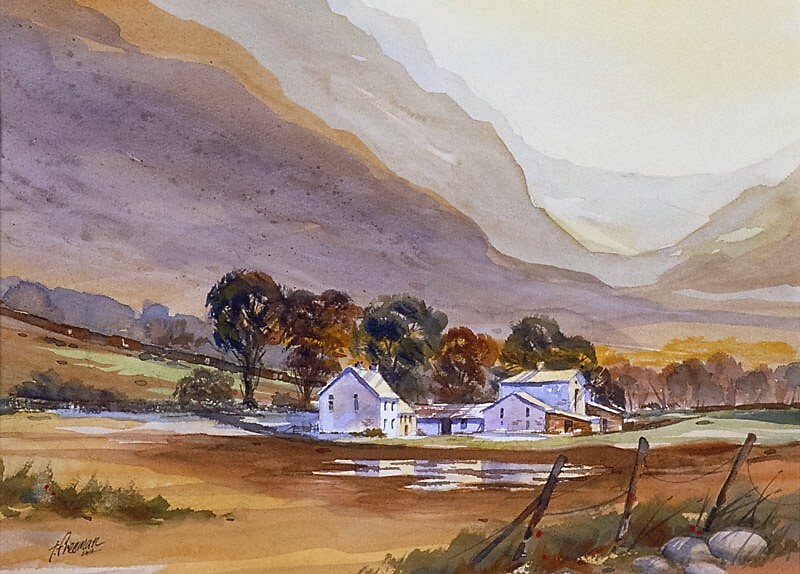 Thomas Freeman Original Watercolor Painting: "Lake Country"
Eileen and I toured the English countryside with my son and daughter-in-law a few years ago and chanced on this scene. It's very mountainous in there, quite a beautiful setting. It rains quite a lot, naturally, and I've depicted things after a recent shower. The ponds have nice reflections. A fence and some rocks in the foreground add depth.